Courtesy of George and Beverly Palmer and of Eric Preusser. Courtesy of Harvell-Spradling Collection and of Sharon Boynton. Six paintings by as many artists comprise Abstract Texas: Midcentury Modern Painting, which remains on view through Oct. 7, 2017 at the Amon Carter Museum of American Art. 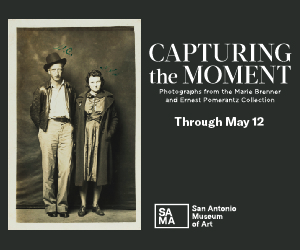 That situation—tiny checklist, lengthy run time—sums up the predicament of Texas museumgoers hungry for examples of the 20th-century art of their state. Still, small can be beautiful, and it is here, with works that connect with larger international art movements, on the one hand, and convey a distinct sense of place, on the other. The earliest work in the show—fittingly, by an artist dubbed the “first Texas modernist”—is Robert O. Presseur’s Receding Transit (1940). 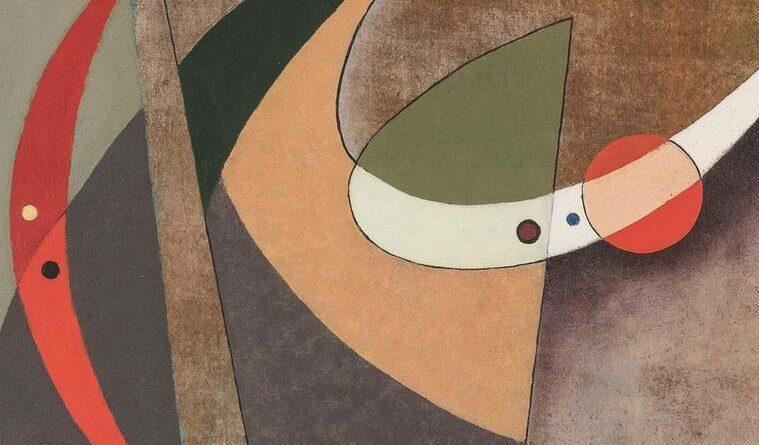 If its interlocking curvilinear planes and utopian integration of art and technology seems to say “Chicago Bauhaus” rather than “Abstract Texas,” that’s because the Houston-born Presseur painted it a year after moving to Chicago to study with László Moholy-Nagy. It’s confident student work that you can’t help wishing served as an introduction to more paintings by an artist who would have been 20 or 21 when he painted it and who, at 19, had written his own theory of modern art. While Presseur’s cool linearity evokes planetary trajectories, an idiosyncratic rhythm drives Ben L. Culwell’s line, which etches through dense, jewel-like skeins of paint in Jazz (1946), which invites comparison with some works in Lee Krasner’s contemporaneous Little Image series. 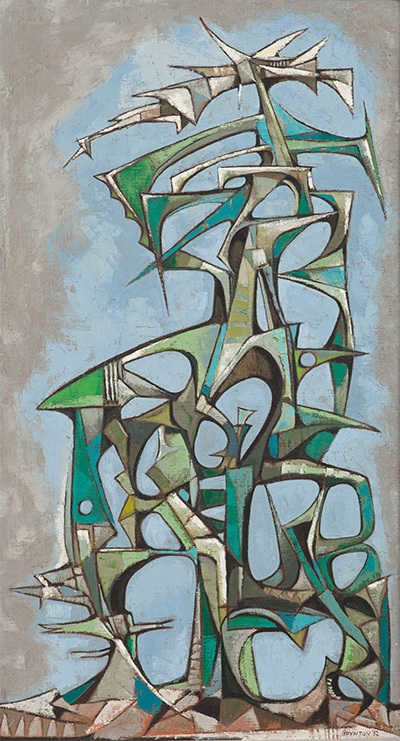 Equally rhythmic, but more frieze-like, are Seymour Fogel’s Conclave (1950), a sophisticated hybrid of cubism and biomorphic surrealism said to abstract a meeting of bishops and cardinals to elect a new pope, and Michael Frary’s jazzy Still Life with Bottle (1963). Surrealism takes on hint of a Texas twang in Bird Trap (1952) by Jack Boynton, who believed that art “is a reality built from fantasy which takes a bridge to the unknowable.” Here the reality is nightmarish, as a spiky, contorted automaton seems to stoop in an arid landscape. It’s a haunting image even before you realize Boynton painted it after his young wife suffered a stroke. Courtesy of Kathryn and Morris Matson Collection and of George Grammer. 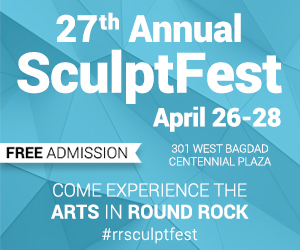 But you really start to feel you’re in Texas in Offshore (1953), a nocturnal distillation of oil derricks by George Grammer, the youngest member of the modernist Fort Worth Circle; and in the similarly architectonic Sic Transit (1956) by Donald L. Weissman. 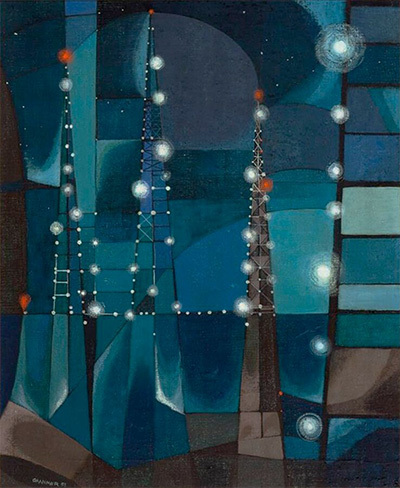 Perhaps inspired by Piet Mondrian’s early cubist transitions into abstractions—as seen in the Dutch painter’s stripped-down depictions of windmills and trees—Grammer anchors his geometric composition with references to a definitively Texan sight, lights radiating from an oilfield at night. Weissman sets his otherworldly structures and scaffolding against a vast, dark purple sky. Although intimately scaled shows can necessitate and foster a valuable degree of focus, but the one-of-each approach tends to undermine that potential benefit. One wonders how much costlier it would have been to mount divide the yearlong exhibition run into six solo shows; certainly it would give viewers more to go on. Still, as a handsome selection of works by artists who deserve to be better known, Abstract Texas delivers.